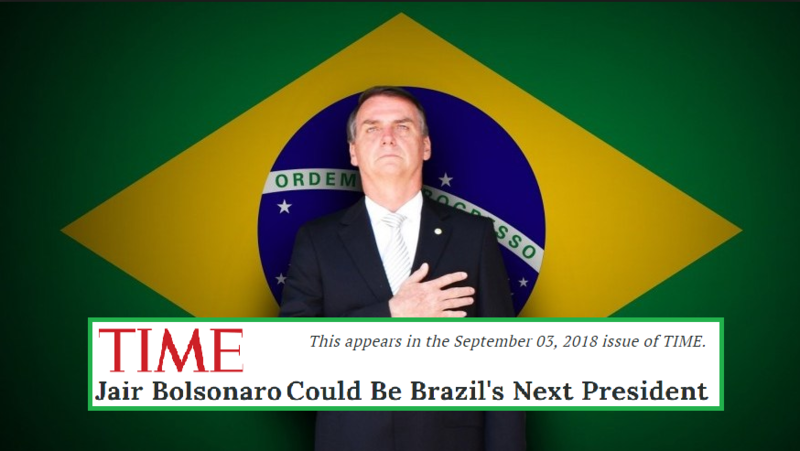 Related coverage: <a href=" https://thegoldwater.com/news/34753-Brazil-Wall-Street-Journal-Acknowledges-Bolsonaro-s-Lead-In-Polls-Video "> Brazil - Wall Street Journal Acknowledges Bolsonaro’s Lead In Polls (Video)</a>. Related coverage: <a href=" https://thegoldwater.com/news/34748-New-York-Times-Editorial-Illegally-Promotes-Brazil-Election-Meddling"> New York Times Editorial Illegally Promotes Brazil Election Meddling</a>. Meanwhile, international investors fear that Brazil could face a choice between two extremes in a run-off. Although the UN, fearing unrest and violence in Brazil, urged the country’s courts to let jailed former President Lula run, few believe he will actually be able to. Before the deadline of September 17 to cast their candidate, many assume Mr Lula will appoint Mr Fernando Haddad as his PT replacement. ROCK ON RIGHT WINGERS WORLDWIDE!! MUST BE A REVIVAL GOIN ON! !